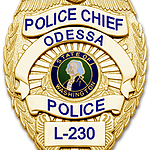 The mission of Odessa's Police Department is to preserve the peace with enthusiasm and compassion, to consistently seek and discover ways of promoting the feeling of security, safety and quality services to the citizens of our community. 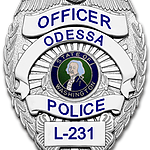 Tthe Odessa Police Department non-emergency phone number is 509-982-0141. This phone number may be forwarded to the Lincoln CO. Sheriff's Department. If no one immediately answers the phone, it will transfer to the Lincoln County Dispatch center after the fourth ring. Please be patient and stay on the line. When the dispatcher answers you can leave a message for the on-duty officer to return your call. 404 Sinclair Street, Davenport, Washington 99122. Hours are Monday thru Friday, 8:30 am to 4:30 pm. Police Reports: To obtain a copy of a police report. a public disclosure request must be completed. These forms are available at the Odessa Police Dept. Office. Expect a minimum of five (5) working days for the report. The cost is 15 cents per page.